Your bedroom is the place you retreat to at the end of a long day at work. For that reason, it’s important to get it right. Here are 5 great tips for improving your bedroom if it currently lacks something. Shelves don’t have to be completely functional; they can be stylish too. There are all sorts of shelving ideas out there; it doesn’t have to be as basic as a blank of wood nailed to the bedroom wall. Of course, function is important too though, and we can all do with a little more storage space. Try using unconventional materials if you want to do something a bit different with your shelves. For example, glass shelves look great if they’re incorporated into a modernist and minimalist overall design. Upcycling and repurposing are all the rage in home decor right now. It’s something you can do yourself, or you can buy upcycled furniture from designers who carry out the work for you. Whichever option you go for, the results will be more interesting than anything you can get from a traditional retailer. There’s no limit to the things that can be upcycled. I’ve seen supermarket trolleys adapted into armchairs and coffee tables made out of a car engine. So, open your mind to the possibilities of upcycling. Sometimes, all your bedroom needs is a new paint job. There’s not a lot of hard work involved in painting your bedroom, but if you want a professional job doing, try using a company like Painter Ready. They’ll give you a better finish than you could achieve alone. Make sure the colours you choose are suitable and match the overall aesthetic of the room. You could also think about creating a feature wall. This is when you wallpaper one wall and then paint the rest. In my opinion, the most interesting bedroom designs are those that mix style with functionality. That means incorporating your possessions into the design of the room. There are loads of ways you can do this. It adds a creative and unique twist to the room. You can do simple things like making your bed into a storage system. Or you can go for something a bit more complex like using your old books as the base of your bed. You can try whatever you like! For me, most shop bought cushion covers are pretty dull and boring nowadays. There’s no flair and imagination to them. 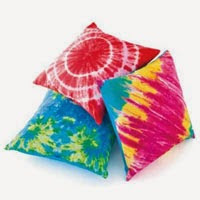 If you want to do something a bit different with your cushions, you should create your own custom designs. It’s not difficult to create your own cushion designs. You could get your kids involved and have fun with it. Tie-dying is a great option. It’s not all about creating old-fashioned hippy designs. There are plenty of guides online to help you make something unique. We all want the perfect bedroom, so follow these tips and you’ll be a step closer to achieving it.